Peavey® set the standard for affordable, feature-packed P.A. solutions more than four decades ago. The new Peavey PVX™ Series loudspeakers are the culmination of decades of R&D and experience building the best portable, all-in-one audio solutions—combining legendary Peavey performance and reliability with modern design for audio pros and musicians of all levels. 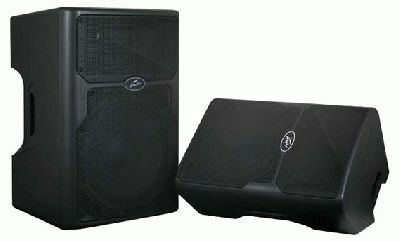 Peavey PVX 12 and PVX 15 passive loudspeakers deliver superior sound quality by utilizing advanced materials. The Peavey RX14™ 1.4-inch titanium diaphragm compression driver, coupled to a constant directivity horn, reproduces high and mid-high frequencies with clarity, while heavy-duty, premium Peavey woofers with 2-3/8-inch voice coils handle the lows and low-mids. These two-way loudspeaker systems are lightweight and rugged, and will handle 400 watts program and 800 watts peak power for live music, speech and other sound reinforcement applications.